Times were hard on the colonial frontiers of both Virginia and the Virgin Islands. Education and messages of peace offered by struggling missionaries weren’t always well-received by authorities. In the 1740s, German Moravian missionaries, for instance, walked more than 100 miles along the old frontier wagon road from the mostly German villages of Bethlehem and York, PA (near Philadelphia) to the Shenandoah Valley wilderness. They kept a diary. Though often welcomed into the cabins of settlers eager for news and encouraging bible stories, one local militia south of what is now Warrenton, VA arrested them as foreign spies. Remarkably, in those same years, this small, non-conformist sect originating in the small European principalities of Bohemia and Moravia also sent missionaries to convert slaves in the Danish West Indies, now the U.S. Virgin Islands. In contrast to the muddy log cabin settlements of the Shenandoah, the first two Moravians arriving in 1732 on a Dutch ship in the harbor of “Saint Thomas” saw a paradise, an early Moravian history reports. The raucous taverns of Tapphus, filled with seamen, merchants, planters and, at times, pirates, must have been off-putting to the Brothers. Just thirty years before they arrived, on April 6, 1699 St. Thomas authorities had welcomed the English pirate Captain Kidd and his crew to anchor and trade in their virtual free port. Other British adventurers visited and stayed. Though Danish owned, the islands of St. Thomas, St. John, St. Croix and nearby British Tortola had first been settled by the Dutch who had come to the Caribbean as pirates, privateers, smugglers in Spanish-claimed territories and as slave traders everywhere. Later they became planters. In this rough society, the Moravians particularly disapproved of sexual practices. Slaves, for instance, could not marry. “The only system permitted by law was free love . . . practically forced upon them by the planters . . . who spoke of blacks as beasts [but] often treated the women as concubines.” In preaching to slaves, Moravians insisted that “a female slave who had been baptized must not, even against the worst threats, give in to her master,” explains Isidor Paiewonsky, a notable St. Thomas historian. It wasn’t surprising that the planters had the meddling missionaries imprisoned in the stone watch tower known as Blackbeard’s Castle. Soon, however, the impact of the 1733 slave revolt on St. John and support for the Moravians expressed back home by Danish Princess Amalie (who wanted to improve slave conditions) gave the missionaries an opening. On St. Thomas, they first established what became a self-sustaining mission and community called New Herrnhut located near what’s now the Cost U Less store. Later, in the 1760s, they built the distinctive Nisky mission near what’s now the airport. The planters and established clergy on the much more profitable plantation island of St. Croix were less hospitable to the missionaries. On the less profitable and less regulated St. John of the 1740s, conditions were more promising for converting Africans. Indeed, the Danish overseer of the 200 acre, mid-island plantation L’Esperance (meaning hopeful expectation) was a preacher and helped establish two Moravian missions (in Cruz Bay and Coral Bay) in the late 18th-century. The overseer, named either Hans Rasmussen or Jens Rasmus (depending upon sources), was likely an indentured servant or debtor sent to the islands to serve out a sentence through work. He may have preached Christianity to the slaves on instructions from L’Esperance’s Dutch co-owner Nicholas Tonis. 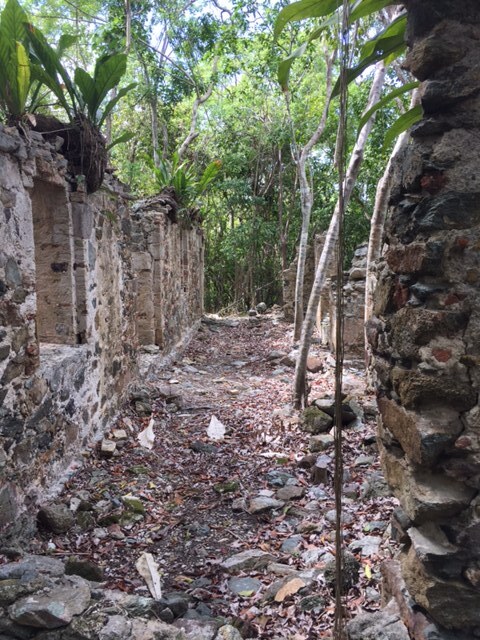 Tonis’ grave can still be seen amid the extensive, picturesque plantation ruins one-third mile down L’Esperance Trail in the Virgin Islands National Park. Home to approximately 70 people in the late 1700s, L’Esperance may have provided a less horrific environment for its slaves than other estates. Moravian sources describe some plantations on which slaves only worked half-day on Saturdays and had Sundays off. They were given modest houses and plots of land to grow their own provisions such as sweet potatoes, maize, beans, mango and papaya. They also caught crabs and fish, and were given salt (“salt fish” is still popular) and weekly allotments of “kill-devil” (rum). The slaves could sell any surplus produce. L’Esperance became a regular meeting place for a growing African congregation on St. John visited regularly by the St. Thomas-based Moravian missionary Frederick Martin. 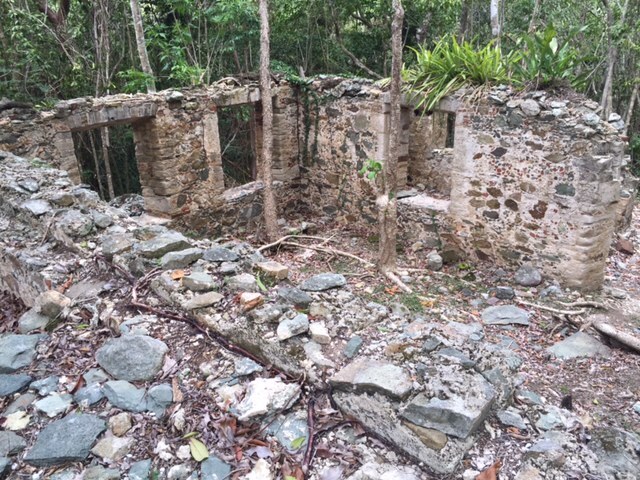 Martin reportedly made a living making spoons and, with Rasmus’ help, bought land for the first mission station (Bethany, on a hill above Cruz Bay). Beyond Christianity, Moravians also taught slaves reading and writing with books and hymnals printed in the Dutch Creole (a mixture of Dutch, low German, English and African words) spoken by slaves. Down the old 2.6 mile Danish road now known as L’Esperance Trail are the ruins of two other plantations named Sieben and Mollendahl. 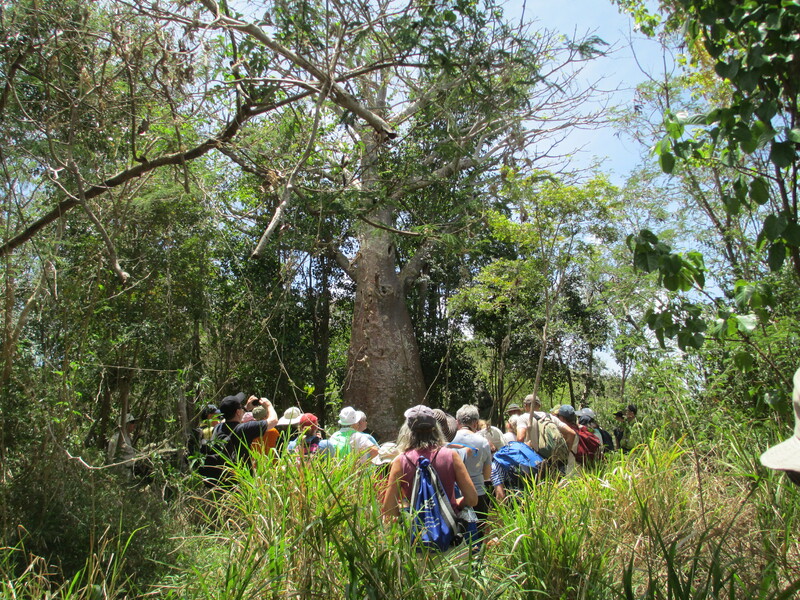 Planted with seeds brought from Africa by slaves, St. John’s only Baobab tree grows in Sieben. Sometimes called the “tree of life,” mature Baobab trees are often hollow and provide habitats for animals, bats and humans. The tree’s fibrous bark can be made into cloth and rope, its leaves are medicinal and Baobab fruit contains a high quantity of Vitamin C.
Sieben Estate is also the birthplace of Julius Sprauve, a former US Virgin Islands Senator for whom the Cruz Bay elementary school is named. Born in the 1930s, Senator Sprauve gave most of the L’Esperance and Sieben lands to the Virgin Islands National Park (VINP). His brother Elroy told the St. John Historical Society about an old woman named Sarah Rasmus (likely a descendant of the L’Esperance’s Moravian overseer) who lived on the trail and had never seen electricity. Further down the trail are the ruins of Estate Mollendahl. Sadly, only 2 miles from L’Esperance and during the same period in which that estate was a center of Moravian teachings, the Mollendahl’s overseer severely beat a missionary preaching to that estate’s slaves. Today, visitors to St. John can see the remains of these historic estates. 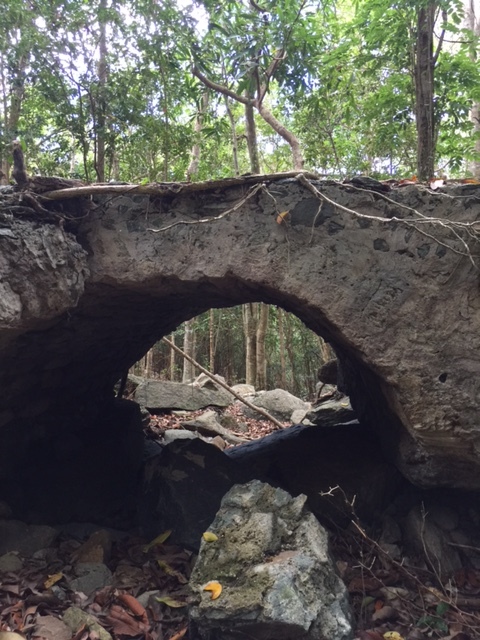 The Virgin Islands National Park offers ranger guided hikes on the downhill L’Esperance Trail. Hikers end at Reef Bay beach where they can swim. A boat, the Sadie Sea, meets them there and returns them to Park headquarters. Those interested should contact Friends of the VI National Park at 340-693-7275.